It’s time to freshen up the offerings on The Corpse Collective Premium Page! 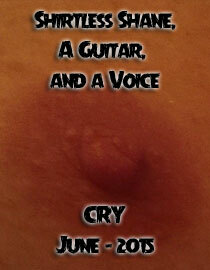 Leading off this crop of updates is Shane’s next installment of Shirtless Shane, a Guitar, and a Voice entitled: Cry from June 2015. Then we move on to something very few eyeballs have ever witnessed. 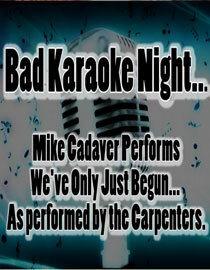 A very embarrassing moment was captured on film when Mike Cadaver was caught singing some Carpenters on Karaoke night. Then it stops being polite and gets real when we present Volume 2 of The Stuff You Were Never Meant to See which has some candid, behind the scenes footage taken while filming the video shows. 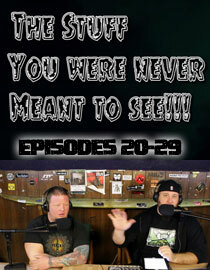 This episode covers the behind the scenes while filming Episodes 20-29. Then we finish off this set of additions with two more hours of the filthiest trailers ever put in one collection with 42nd Street Forever Vol. 2.